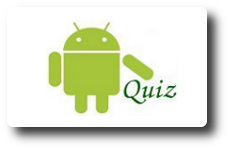 The objective of this article is to create an Android application which demonstrates how to create and open an alert dialog window in an application. 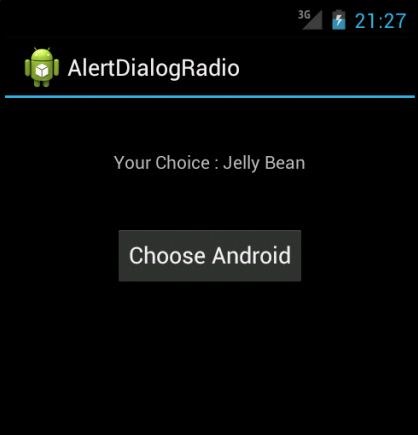 The key classes that we are using in this application are DialogFragment and AlertDialog. 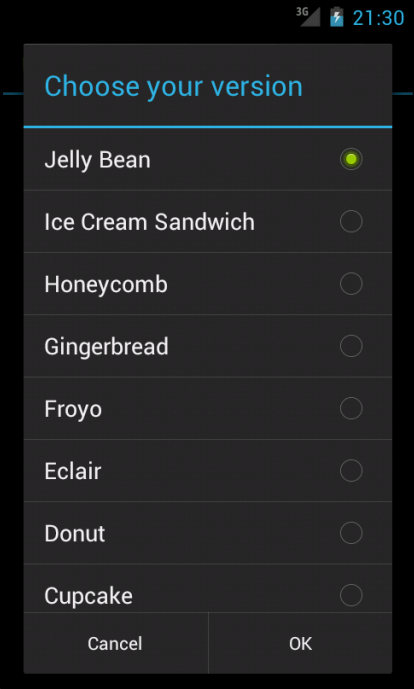 In this article, the alert dialog window will be opened when the button “Choose Android” is selected from the main activity. 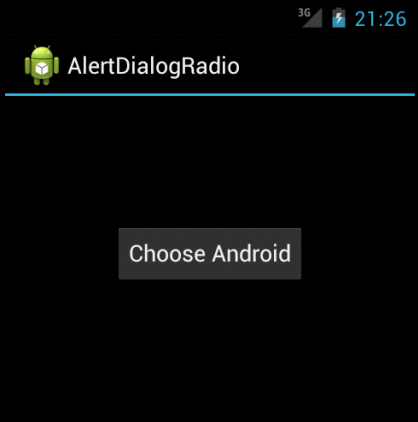 In the alert dialog window, the set of Android versions will be listed along with radio buttons. User can pick one version and click “OK” button. Then the selected version will be displayed in the main activity screen. 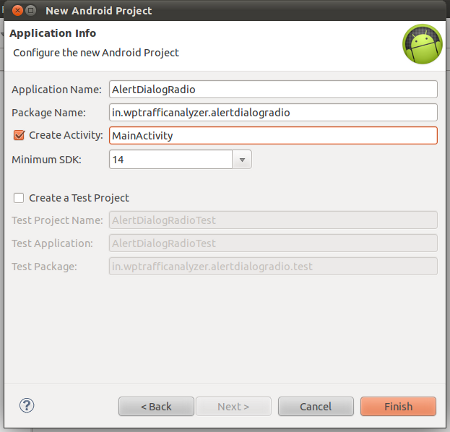 In this application, in order to avoid the coupling between the main activity and the alert dialog, the click listener for the “OK” button is written in the main activity. /** This is a callback method executed when this fragment is attached to an activity. 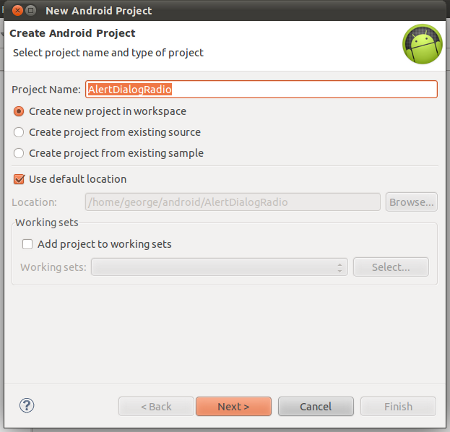 *  it is suppose to implement the interface "AlertPositiveListener"
This is the main activity file, from where the alert dialog window is invoked. Thanks for the example, but posting code samples when the content width is so small, is annoying. 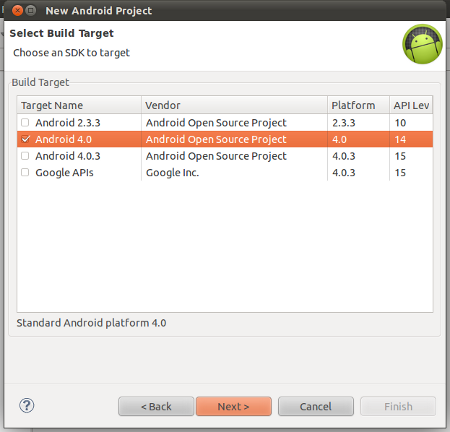 Can you similar that can work for both 2.3 and 4.0? The above example which was provided by you helped me alot and i need some help that in place of textview i am displaying the custom listview in the above example and i need the position of listview as well as the position of radiobuttons.can you help me regarding this? The article is very useful. If there is a need of more than one Alert Dialog in same screen, how to call different onPositiveClick functions.